Find Yourself in this Romantic Country Retreat Featuring a Stately Farmhouse Peacefully Set Upon the Meadows of The Oliver Acreage! 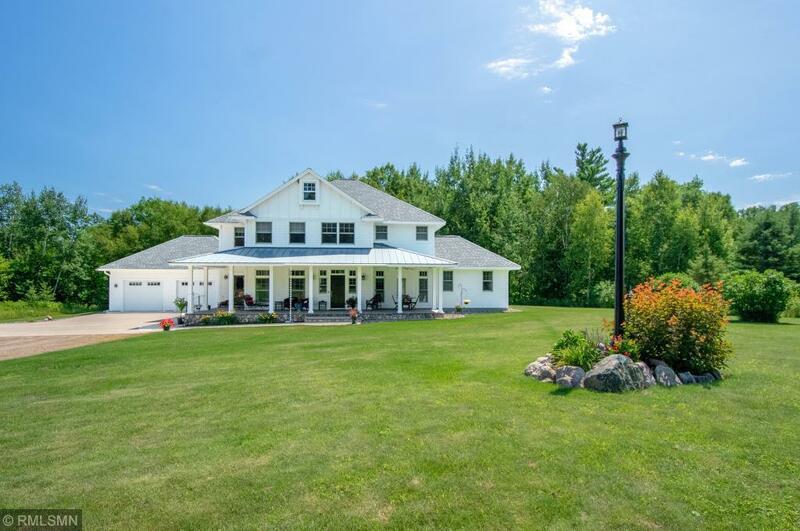 This Stunning 47 Acre Property Features Rolling Meadows & Whispering Woods which Highlight the 4 BD/4 BA Home Finished in the Finest of Materials & Craftsmanship and an Eclectic Barn Complimented by 3 BD/2 BA Guest Quarters Replete with Reclaimed Woods & Metals and Accented by Vintage Decor. A Pole Building w/Heated Shop Functions to Complete This Amazing Property!